The efforts of the Community Referral Coordinator program have decreased the no-show rate at follow-up appointments from 75% in the first quarter of 2009 to just over 58% in the fourth quarter of 2013. Access to and utilization of quality health care greatly affects a person’s health. In particular, a usual and ongoing source of care leads to better health outcomes and fewer costs.1 However, in 2012, about 1 in 5 adults ages 18-64 did not have a usual source of care.2 In addition, patients benefit when their usual source of care is a primary care provider (PCP), as PCPs form relationships with their patients and increase the likelihood their patients will receive appropriate care. 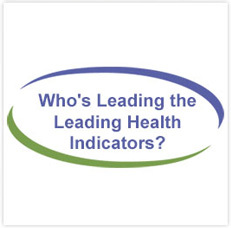 The IHN has received support from federal agencies such as the Health Resources and Services Administration (HRSA) and the Centers for Medicare and Medicaid Services (CMS) to promote their work in the St. Louis area. Since its inception as a pilot program in the emergency departments of two hospitals, the CRC program has expanded to eight hospital settings. 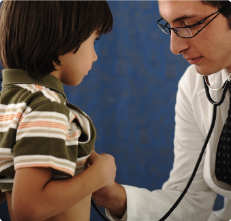 Between 2008 and 2012, referrals to community health centers tripled. More importantly, the efforts of the CRC program have decreased the no-show rate at follow-up appointments from 75% in the first quarter of 2009 to just over 58% in the fourth quarter of 2013.4, 5 In 2013, the CRC program shifted its focus to target specific patient groups, including patients with an already established community health center and patients with a chronic illness who were being discharged from the inpatient unit. Community health centers, hospitals, and public health departments that partner with the IHN are demonstrating strong collaboration in the region to continue to provide health care services for underserved populations in the St. Louis region. 3NORC at the University of Chicago. Final Report: The Community Referral Coordinator Program, 2009-2011. 4NORC at the University of Chicago. Final Report: The Community Referral Coordinator Program, 2009-2011. 5St. Louis Integrated Health Network. Community Referral Coordinator Program Update: October 1, 2013-December 31, 2013. Accessed February 3, 2014. Supplemental Material: For more information, read these figures from the St. Louis Integrated Health Network. The St. Louis Integrated Health Network, through collaboration and partnership, will strive for quality, accessible and affordable healthcare services for all residents of Metropolitan St. Louis, with an emphasis on the medically underserved.